LaGuardia has produced talent like llen Barkin, Marlon Wayans, Omar Epps, Chaz Bono, Tichina Arnold, Issac Mizrahi, Sarah Paulson, Geoffrey Arend, Prince Credell and Nicki Minaji. Gail Whitmore dreamed of attending Fiorello H. LaGuardia High School for Music & Art and the Performing Arts when she was a kid. The opera singer, now 41, wanted nothing more than to train at the same high school that counts Robert De Niro and Jennifer Aniston among its alum. So Whitmore rode public transit for nearly two hours every day to study classical singing at the Upper Manhattan school. If given the choice, she says she would do it all over again. Whitmore is part of a long list of notable artists that call F.H. LaGuardia High School their alma mater. Ellen Barkin, Marlon Wayans, Omar Epps, Chaz Bono, Tichina Arnold, Issac Mizrahi, Sarah Paulson, Geoffrey Arend, Prince Credell, Nicki Minaji—they’ve all graduated from LaGuardia. I earned my diploma from the specialized arts school in 2001, alongside actor Li Jun Li and Saturday Night Live’s Michael Che. A year later, Ray Santiago of Starz’s Ash vs. Evil Dead would graduate. LaGuardia has churned out such talent because it’s a place that sees your potential, captures your passion and fosters your gift. To get in, you have to pass a rigorous audition. To stay in, you have to keep up with a demanding schedule. Watch Fame, Alan Parker’s 1980 teen musical drama, and you’ll get a glimpse of the conservatory-style arts education students had to endure. LaGuardia is also a school where your idiosyncrasies are celebrated. Teachers didn’t care that Whitmore was a militant vegan animal rights activist who wore fluorescent yellow shoelaces every day, she says. Most of the teenagers in my grade—myself included—were counterculture kids who hung around the lockers sketching in our notebooks or twirling down the hallway. And last year, students at LaGuardia elected the school’s first-ever gender-fluid prom queen. But a growing chorus of alumni, parents, students, staff and faculty worry that LaGuardia’s eccentric spirit will soon exhaust. They say the current principal, Dr. Lisa Mars, is emphasizing grades over talent during the admissions process, turning away talented students who didn’t meet the academic mark. They fear that the focus on grades will threaten the racial and class diversity that’s made the school so rich. In August, a group of concerned LaGuardia supporters, under the name Save Our School, posted a petition on Change.org charging that LaGuardia’s admission process has been “radically altered” under Dr. Mars’ leadership to prioritize academic achievement and school attendance. They say that, for the 2013-14 school year, talent accounted for only 14 percent of a student’s application evaluation, based on Freedom of Information Law documents its received. As a result, troves of qualified students were turned away from the school while youth who performed poorly at auditions but excelled in test scores were admitted, according to the group. The group is urging the DOE remove Dr. Mars from her position and restore the old admissions process before auditions begin in November for the 2017 freshman class. Save Our School claims the new admission criteria goes against the mission of the school and violates the Hecht-Calandra Act of 1971, which governs New York City’s nine specialized high schools. Under the Hecht-Calandra Act, eight out of nine specialized high schools in the city are required to admit students based solely on an entrance exam. The law, though, treats F.H. LaGuardia H.S. differently. Instead of a written test, students applying to LaGuardia must pass a performing arts audition or portfolio assessment. Their scholastic record is only to be reviewed in conjunction with a successful audition, according to the law. Education advocates have long charged that entrance exams to New York City’s three only specialized high schools lock out black and Latino youth. And it’s a criticism supported by DOE statistics. The overall number of black and Latino students admitted to Stuyvesant High School, Bronx High School of Science, and Brooklyn Technical High School has dropped gradually since the 2011-12 school year, agency data showed. Critics say this lack of diversity is reflective of an education system that gives a leg up to students who can afford to hire tutors and prepare for entrance exams. After all, black and Latino families with children under 18-years-old make up close to half of New York City’s low-income population in 2014. And research shows that poverty impacts brain development and academic outcomes. Students living in poverty are less likely to perform well on tests because environmental stressors, like unsafe communities and limited access to healthy foods, that disproportionately affect their lives. LaGuardia’s law-mandated admissions process has allowed the school to fare better when it comes to student diversity. In the 2015-16 school year, youth of color made up half of LaGuardia’s student body, with black and Latino students accounting for 30 percent of 2,641 total students, according to DOE data. That’s because, Gonzales theorizes, the Manhattan institution historically gave more weight to the “range of artistic skills that are not easily equated into a standardized test.” But as LaGuardia continues to convert its admission process to a model based on academic achievement, similar to other specialized schools, “we’re going to see a decrease in students from underrepresented backgrounds,” he says. And that’s what Save Our School fears. 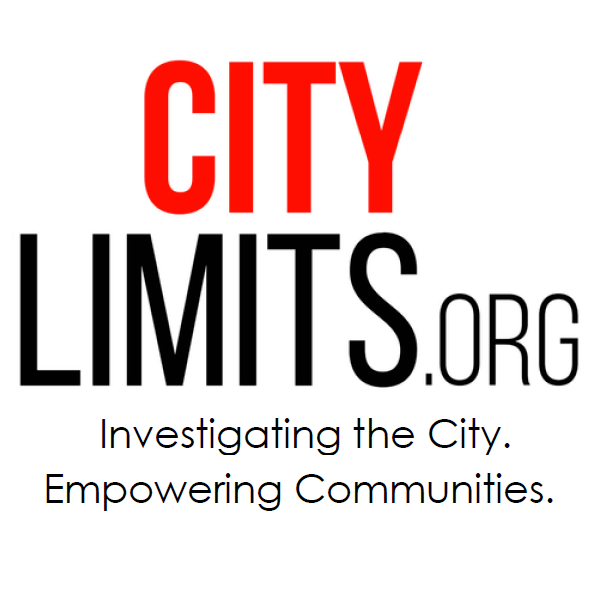 The DOE spokesperson did not respond to City Limits’ follow up questions. Save Our School’s case has been referred to the DOE’s Office of Equal Opportunity and will be handled by the Office of Special Investigations, according to a Sept. 23 petition update. The investigation, though, is going as at a snail’s pace, a group member told me last week. Still, this is more progress than what critics saw in 2014, when the issue was first brought to the public’s attention. 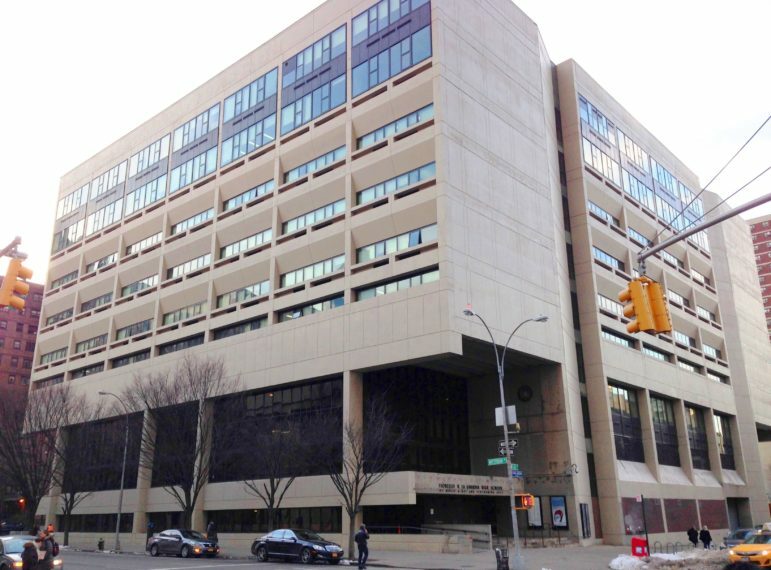 In September of that year, a Manhattan Supreme Court judge dismissed a lawsuit filed by the mothers of two teenagers who, despite excelling in their auditions, were rejected from LaGuardia because they scored low on the Common Core exams. The judge threw out the case on procedural grounds, but said in his opinion that he found it “quite troubling that . . . students that seem to be overqualified for La Guardia did not gain entrance due to possible violations of the statute,” as reported by the New York Post. Dr. Mars has not only come under fire for her controversial admissions process. Critics also say the former Townsend Harris High School assistant principal has created a contentious environment for staff, faculty, and students since taking over in August 2013. The latest school quality snapshot from the DOE rates LaGuardia as poor on effective school leadership, strong family-community ties, and trust. Only 25 percent of teachers report that they trust the principal, while 28 percent say she communicates a clear educational vision. Forty-seven percent of faculty believes school leadership does well in managing curriculum and instruction across the different grade levels. I reached out to former and current faculty, but they did not return requests for interviews for this article. A member of Save Our School told me that critics, including parents and current students, won’t speak out publicly because they fear Dr. Mars will retaliate in some way. That member declined to go on record for this story for that reason. Eventually, I was put in touch with Bunny Dell, a now-retired art teacher who worked at LaGuardia for 31 years. Dell, who taught many of my peers, says she’s always had pleasant experiences with Dr. Mars, but many of her colleagues couldn’t report the same. Teachers at odds with Dr. Mars would experience retaliation of sorts, she says. Their office would be downgraded. Their materials would be destroyed. They would get forced to head a class they weren’t prepared to teach. “Ultimately, if your behavior led to a falling out, you were treated differently,” Dell says. Students, though, report a better experience, with 81 percent saying they feel supported and safe in the school, according to the DOE snapshot. But that doesn’t necessarily reflect reality. According to Krisnina Magpantay, a junior majoring in Art, students at LaGuardia feel pressured to excel academically, and are forced to take AP courses they don’t need because it will “save your life in college.” In order to drop those classes, the school administration makes you jump through hoops, she says. Students have made their dissatisfaction known to Dr. Mars for the last two years, but nothing has changed, Magpantay says. Gonzales says Dr. Mars’ push for academics could reflect the pressure felt by principals across the country to meet the new curriculum and standards set forth by the haphazard and oft-criticized Common Core State Standards Initiative. Since the accountability framework under the Common Core emphasizes standardized test scores, principals and teachers are scrambling to up the grades coming out of their schools, he says. Student diversity and academic excellence have remained relatively the same since Dr. Mars took over. The number of Latino students has steadily increased, although the number of black students has dipped slightly. And the school continues to boast a 98 percent graduate rate. But this doesn’t mean that a continued focus on academics rather than talent won’t lead to a homogenous, predominantly white and uppercrust student body. After all, three years aren’t enough to quantify the implications of a seemingly problematic process. That’s even more reason for the DOE to step in before it’s too late. New York City as a whole is slowly losing it soul because gentrification is pushing so many of its talented residents out. To let that reflect in a school that has, for eight decades, been a place for artistic and offbeat teenagers to thrive is to let the very spirit of LaGuardia vanish. And that would mean fewer Sarah Paulsons and Prince Credells in the world. Annamarya Scaccia is a freelance journalist now living in Texas. My daughter is a junior vocal major. She came home this week and was quite distressed because the truth is that some of the underclassmen do not demonstrate the same level of passion for their studio that older generations have. They came here for the name only. As they are preparing for their first concert the lack of acumen is palpable and distressing. If the quality of artists goes down, THIS IS ULTIMATELY GOING TO KILL THIS SCHOOL. It’s an arts school. When is the DOE going to get serious about addressing the middle school problem? There wouldn’t be this controversy if all students were properly academically prepared in grades 3-8. Another sign of the unequal schools in NYC. Recently, Dr. Mars has closed the Instrumental Music Office in factor of a drug counseling center. She has eliminated the position of Instrumental Music Coordinator. For 61 of the school’s 81 years there were two separate music departments, instrumental and vocal, each with its assistant principal and office. Twenty years ago one A. P. was hired to supervise both, but since the workload was such as to require two people, a coordinator picked up all but the supervisory duties of the instrumental A. P.
She did this without consulting, or even notifying, the Music Department. When the members requested an emergency meeting, she put them off for nine days. Teachers feel that music is another of the dominoes following the Dance Department in succumbing to Dr. Mars’ policies. Able students who do not love the arts find that the dual mission is too demanding. In the 2016 – 2017 academic year 54 students were hospitalized for emotional breakdowns and one committed suicide. Perhaps if Dr. Mars would reconsider her admission policies, a new Wellness Center and a drug counseling space would not be supplanting instrumental music. Do we need more charter schools? Should public colleges be free? What role should tests play in the lives of students and teachers? On these and other topics, here’s where the gubernatorial candidates stand. But with desegregation an increasingly urgent goal, how long will it last?